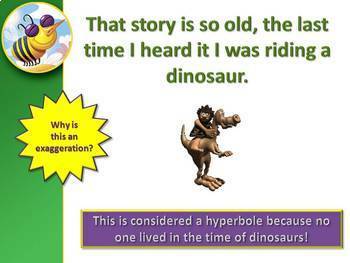 More on figurative language! 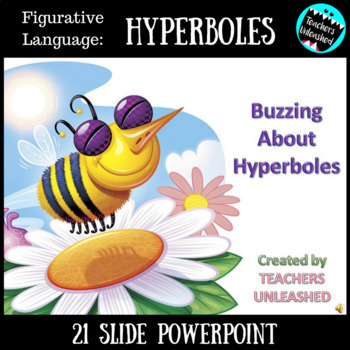 This 21-slide presentation will offer you and your students an in-depth look at hyperboles. 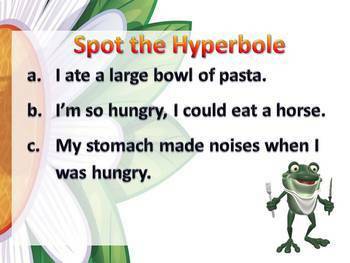 Students will be guided through what a hyperbole is, how to understand why statements are hyperboles, and then given the chance to find hyperboles among other sentences. 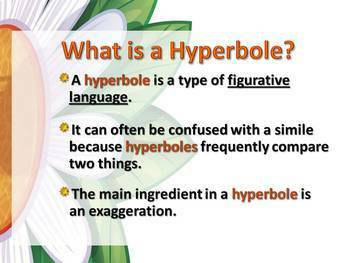 Also included is clarification between similes and hyperboles. Stunning colors and animations will keep students plugged in, and make teaching this figurative language concept fun!